I wasn’t expecting to see Hoar Frost in mid-June. 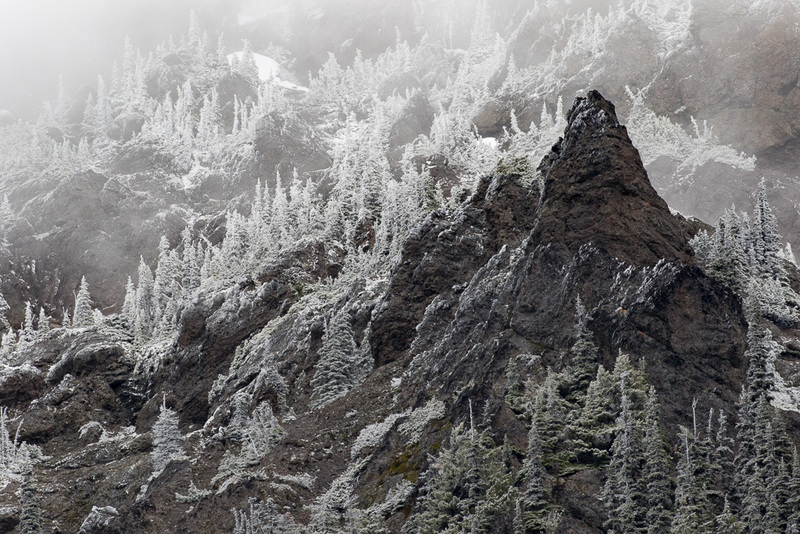 The conditions were just right as we were driving up to Hurricane Ridge, moist fog and cold temperature. As soon as I saw the light mist, the frost covered trees, and the contrasting rock outcroppings, I thought of B&W. Magic happens! This entry was posted in B&W Photography, The Intimate Landscape and tagged Hurricane Ridge, Olympic National Park, Washington. on July 15, 2018 by kgrafphoto.